Devolver Digital had two games showcased in this morning’s Nindies video: Katana ZERO and My Friend Pedro. Both are coming to the Switch and to celebrate they have shared brand new trailers. Even if you’ve already watched the Nindie Presentation there’s a bit more to digest here! Oh and lots of blood! Devolver Digital rolled out some big news in the latest Nintendo ‘Nindies Showcase’ at GDC with exciting new looks at Katana ZERO and My Friend Pedro. Developer askiisoft has revealed that the razor-sharp, time-bending ninja story Katana ZERO is coming to Nintendo Switch alongside PC on April 18. Eager swordsmen can watch the latest gameplay trailer [youtu.be/54ucHXQPjz4] and pre-order Katana ZERO on the Nintendo eShop starting today. The E3 2018 breakout sensation My Friend Pedro once again explodes into the spotlight with an intense new gameplay trailer [youtu.be/YIVtT7SJrMM] that has so much gun ballet action it continues more than a minute after the end slate. 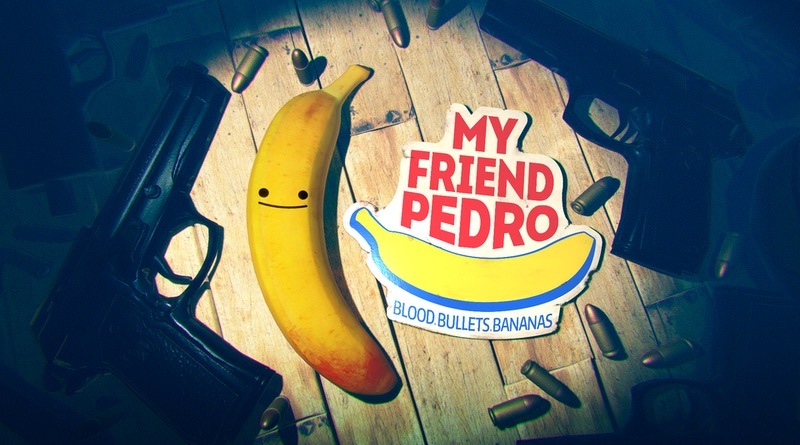 Developer Deadtoast is pleased to announce that My Friend Pedro hits Nintendo Switch and PC this June.